For those members who have been awarded Instructor qualifications, you can now order hard (printed) copies of your qualification. They are printed on card, contain your QR code, an ITRA holograph decal and ITRA embossed foil seal as well. If you need to prove your credentials, we always recommend using the QR code as it goes to our secure online database to provide real-time verification. However, it is nice to be able to frame and hang up your achievement too. 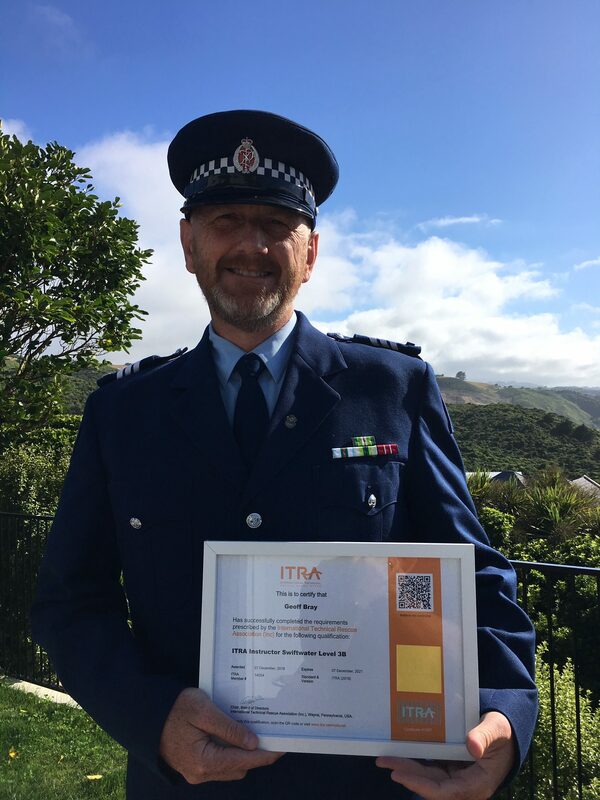 Here, ITRA Swiftwater Instructor Geoff Bray from New Zealand is showing what the new ITRA qualifications look like. Members can order their certificates here. Note: Program completion certificates are available to members (including student members) who have attended all the learning objectives in a qualification, but have not been assessed for competency.